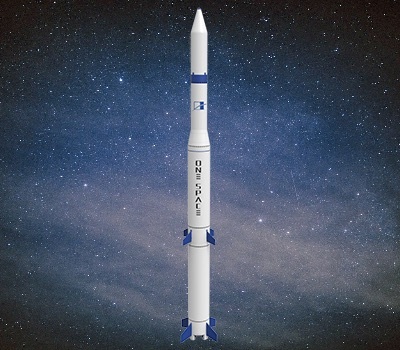 OneSpace’s OS-M rocket will lift off from the Jiuquan space center in the Gobi Desert, a barren expanse in northwest China’s Inner Mongolia autonomous region. 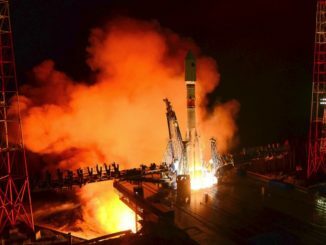 The exact timing of the launch has not been disclosed by OneSpace or Chinese state media agencies, but tweets published by OneSpace officials suggest the flight is scheduled for some time Wednesday. The launch is another step forward for China’s growing commercial space industry, which has proliferated over the last four years since China implemented space policy reforms under President Xi Jinping, allowing private capital to begin funding new satellite and launcher companies. China’s satellite and launch industries have traditionally been managed by state-owned organizations, which oversee spacecraft and launch vehicle design, production and operations. Those government-owned companies, led by the China Aerospace Science and Technology Corp., or CASC, remain major players in Chinese space activities, but startups have entered the fold to work on small satellites and mini-launchers, two of the most dynamic segments of the global space industry. Headquartered in Beijing, OneSpace is one of several Chinese launcher startups jockeying for position in the country’s burgeoning commercial space market. 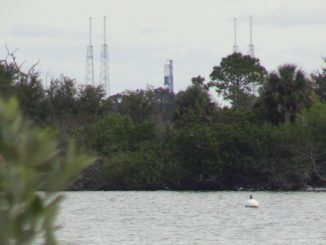 The company’s solid-fueled, four-stage OS-M rocket set for launch this week stands around 62 feet (19 meters) tall, with the ability to place around 247 pounds (112 kilograms) of payload into a sun-synchronous orbit at an altitude of 310 miles (500 kilometers), according to information on OneSpace’s website. With this week’s launch, OneSpace aims to become China’s first privately-funded launch company to put a satellite into orbit. The payload riding on the first OS-M flight is the Lingque 1B remote sensing CubeSat for ZeroG Lab, a Chinese company seeking to deploy a fleet of Earth-observing nanosatellites. LandSpace, one of OneSpace’s competitors in China, launched its first orbital-class rocket Oct. 27 from Jiuquan, but the vehicle’s third stage failed to reach the required velocity to enter orbit. 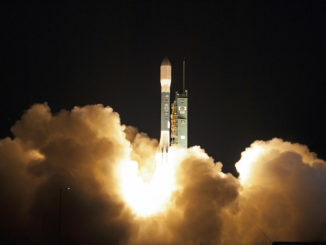 LandSpace is moving on from the solid-fueled Zhuque 1 rocket, which failed on the October mission, to the bigger Zhuque 2 rocket fueled by methane and liquid oxygen.